Hurricane Harvey has been a disaster for the Houston area by any definition, but the medical response at major shelters has been anything but. Lisa L. Ehrlich, MD, is codirector of medical operations at Houston’s NRG Stadium shelter and president of the Harris County Medical Society. She volunteered in the wake of previous hurricanes, including Andrew and Katrina. Dr. Ehrlich, who has earned the nickname “Power Ponytail,” has run the NRG shelter with emergency physicians Beau Briese, MD, and Aaron Schwartz, MD. 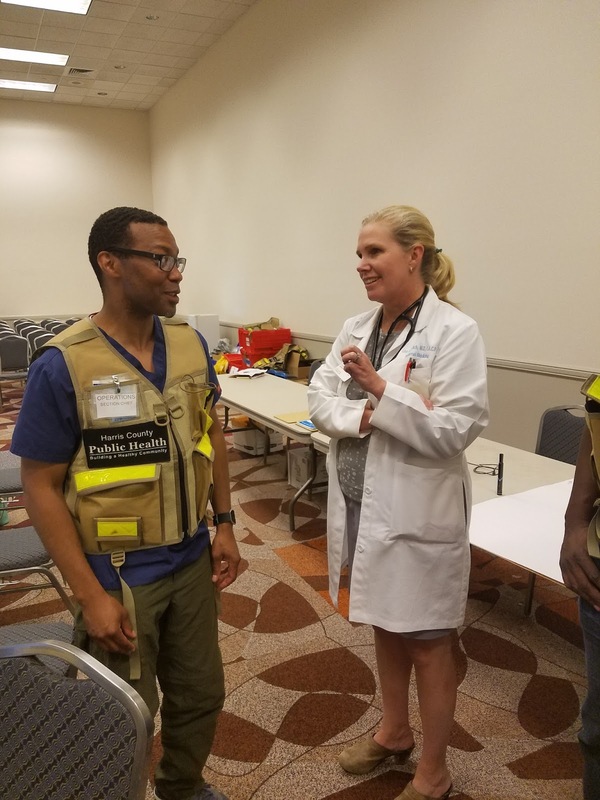 Numerous volunteers did a great job of screening people as they entered, Dr. Ehrlich told the Texas Medical Association late last week. Anyone older than 70 or younger than 1 was automatically evaluated by the medical team. director of public health at the NRG shelter. Many of the people in the shelter were homeless, so physicians also screened aggressively for tuberculosis patients and those with behavioral problems, she said. In both cases, patients tend to underreport their illnesses, so after the shelter staff asked, “Do you have any medical problem?” they would follow up with a second question. Physicians also walked among shelter residents to look for signs of drug withdrawal or psychological problems. “We kind of routed those out early,” she said. As of late last week, the shelter has seen a variety of predictable illnesses, including type A flu, scabies, bed bug bites, and conjunctivitis, Dr. Ehrlich said. All of those ailments are under much better control than they were in the wake of Hurricane Katrina, Dr. Ehrlich said. During Katrina, people sheltered at the old Astrodome had so many different medical conditions that doctors put the well people — not the sick people — in medical isolation, Dr. Ehrlich said. The greatest long-term medical problem facing the Houston area after Harvey will be treating behavioral disorders. Like the rest of the country, Houston already has a shortage of psychiatrists.